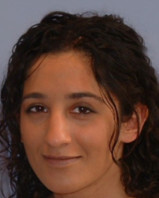 Dr. Rana Al-Falaki qualified from Barts and The London School of Medicine and Dentistry with distinction in 1997. She attained her MClinDent in Periodontics in 2002 with Distinction and was entered into the GDC Specialist List in 2003 after obtaining her exit specialist qualification of Membership in Restorative Dentistry from The Royal College of Surgeons (England). This webinar will discuss the aetiology, diagnosis and management of peri-implantitis. This webinar course is a clinical overview of the use of the Er,Cr:YSGG laser in the management and treatment of Advanced Chronic Periodontitis and Aggressive Periodontitis.